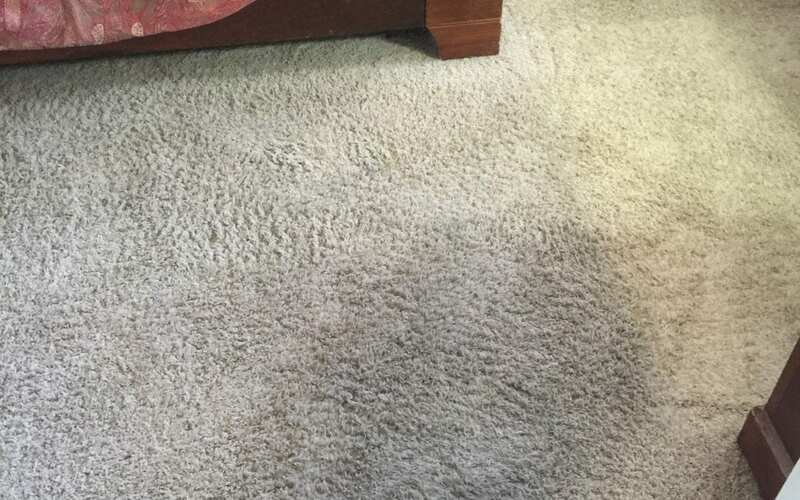 We offer pre conditioning and spot treatment standard with all our carpet cleaning services, but sometimes there are some stains that are not removable through regular carpet cleaning. Blood, red dye and other oil based stains will not by removed with regular carpet cleaning. Those areas will need to be repaired. Our customer was needed an area repaired because the stain was still there after cleaning the carpet a couple times. We were not able to tell what originally caused the stain, but the customer did have carpet remnants available for the repair that we were able to use. We repaired the area to remove the stain. Check out the before & after photos below. Call (480) 360-4430 for more information about our services!